We’ve got campers for land and boats for water, but few mass manufactured motorhomes (or motorboats) are equally suited for both environments. 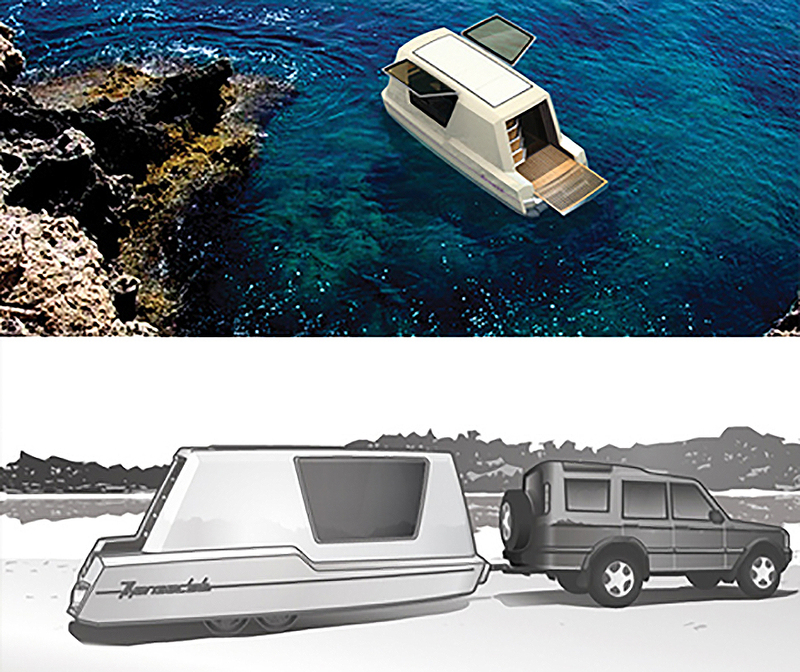 Combining the utility of a four-wheeled boat trailer with parts of a conventional cross-country airstream, this unusual aquatic camper design has deeper meaning than is evidence on the surface. 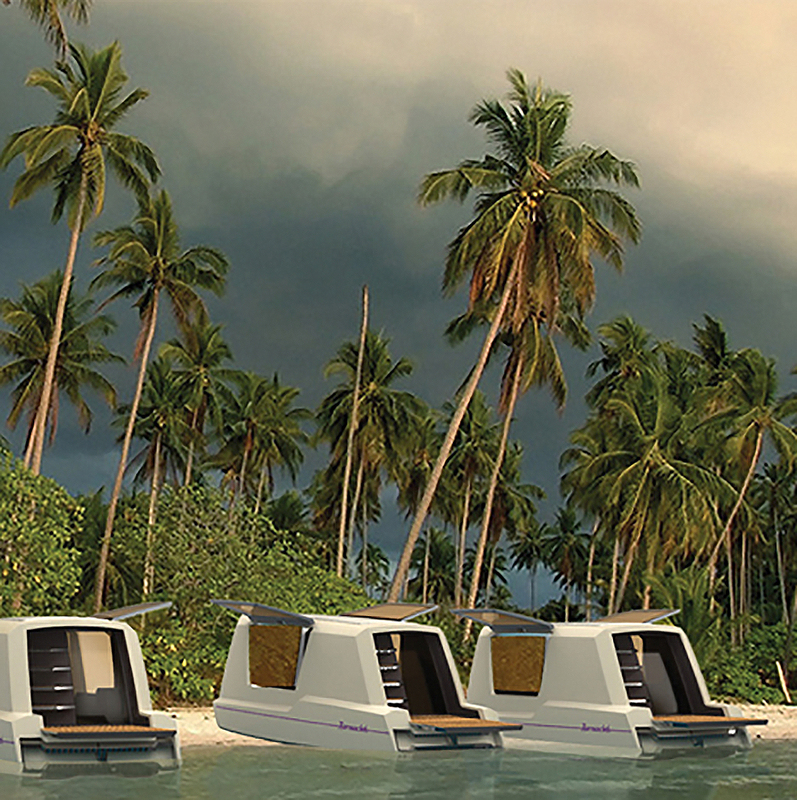 In fact, the dual purpose Thansadet’s rather bland and boxy vintage-inspired design inherently proposes to democratize waterways for ordinary vacationers. As a (relatively) cheap buy or rental, it creates sale-priced possibilities to reach remote locations normally accessible only to someone with a luxury yacht or sailboat. Whether that’s a good thing or a bad thing to you probably depends on whether you are able to enjoy the exclusivity that comes with wealth. There is no attempt to make a streamlined project for jet-setting speedsters. Rather, the focus is on a livable floating space to accommodate up to a family of five. 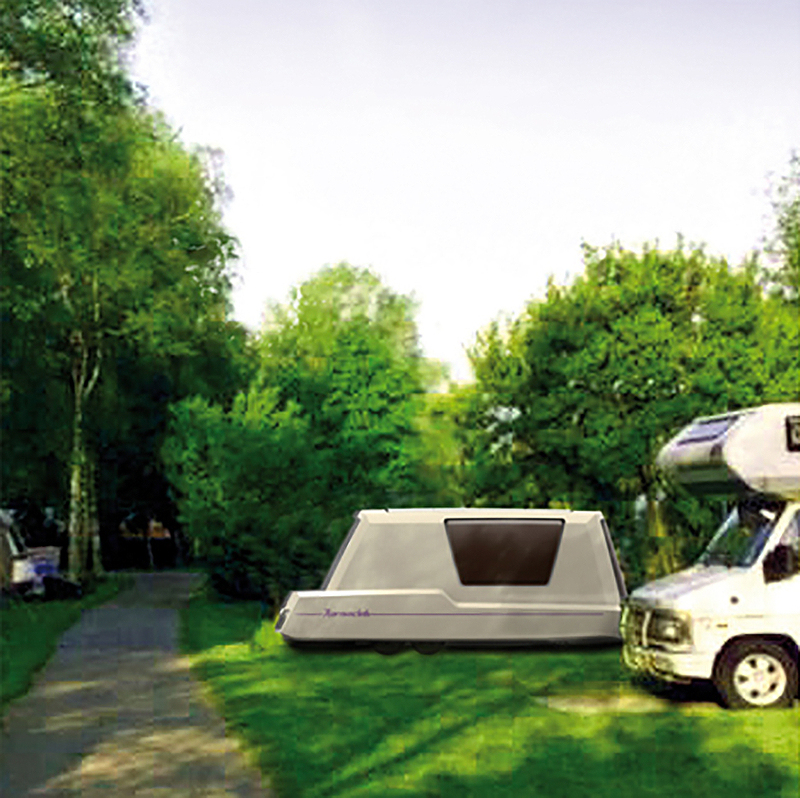 It is merely designed for short and slow trips on the sea or simplified pop-up-style camping on land. Travelers are used to seeing unrealistic images of their would-be destinations – cropped and Photoshopped pictures that mislead them into believing a resort is truly isolated. In this case, though, the amphibious camper idea holds water (metaphorically), as it is easy to imagine truly escaping in such a vehicle along watery roads less traveled (assuming issues of salt, dirt, weather and wear can be addressed should this ever be built). 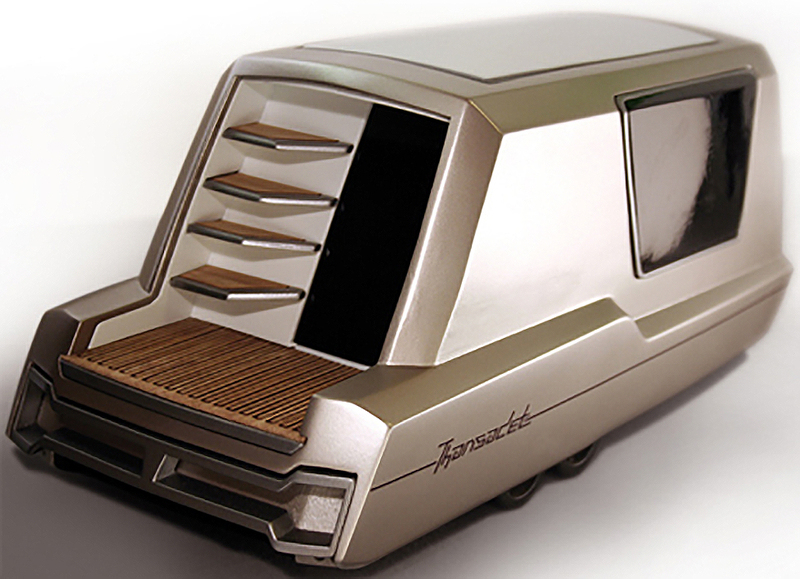 With a little bit of a design upgrade, this RV-boat-hybrid concept could easily be taken up by one of the major recreational vehicle manufacturers and made into a real product sold individually or as fleets to hot vacation spots around the world. Add a retractable awning and a more expandable deck and you’ve got a winning idea that millions of travelers would love to test out, reminiscent of the giant “duck boats” seen in cities like Boston.